If you’re a small business owner, you know how hard it is to justify another addition to your staff. So when it comes to IT support, you’re often forced to improvise — calling the professionals only when something goes wrong. That’s why it’s so important to have a strategic technology plan in place. The right plan helps you prepare for the future and prevent issues before they start. How Much Support Do You Really Need? 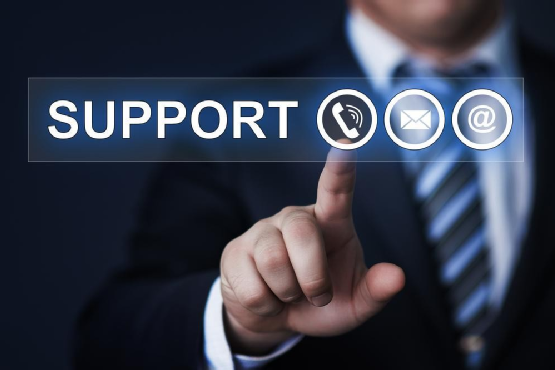 A truly comprehensive tech support solution has many moving parts. You have the people who troubleshoot everyday problems, those who handle your monitoring and disaster recovery, the cooperative IT people who do recurring updates and maintenance on site, and those handle significant changes to your IT infrastructure or implement new technology. You may even need the services of an IT specialist to handle issues directly related to your business. However, many small businesses forego some or all of these services, leaving them scrambling for support when they really need it. Even if your company has a dedicated IT professional on staff, no one person will have the knowledge or the bandwidth to provide all of the support you need. And if you don’t have a person on staff, you’re likely trying to do it all yourself, maintaining multiple contact lists and maintenance schedules and just hoping that nothing falls through the cracks. Feeling overwhelmed? Don’t worry. Putting together a strategic technology plan is easy, when you have the right support. In fact, UDT, has client advisors who create plans for a wide array of businesses. These plans are tailored to client’s business goals and often include a combination of in-house and outsourced solutions. Client advisors are also charged with putting strategic technology plans in action and serving as the client’s main point of contact. Gone are the days when small business owners had no choice but to fend for themselves. When small business owners partner with IT companies to fill gaps in support, they can get back to what they do best and trust that they’re in the hands of capable IT professionals. Looking for the right partner to help with technology planning for your business? Contact UDT.